Yesterday, when President Obama and EPA administrator Gina McCarthy explained the importance of newly released rules on carbon pollution, they showed evidence of a growing trend we are monitoring at Climate Interactive: adopting a multiple benefits framework to address climate change. (We call it multisolving.) In addition to reductions in carbon pollution, they articulated the health, justice, and economic benefits they expect from the new policy. As we research the multiple benefits of action on climate change, we’ve seen this way of thinking on display more and more often in the past year. We see growing awareness that actions to protect the climate can help improve people’s health and communities’ economic vitality at the same time. So as I watched yesterday’s announcement alongside climate advocates nationwide, and as I reviewed the supporting online materials about the Clean Power Plan, I was looking carefully at two things: (1) how much does the administration emphasize the multiple benefits as a frame and (2) how hard are they working to ensure that multiple benefits actually accrue? Just talking about multiple benefits is rarely enough – they must be carefully designed for. Here’s my take on both questions…. Question #1 Does the plan articulate multiple benefits? Yes, definitely. You’ll find plenty of places in the announcement and the supporting materials that use a multiple benefits framing. 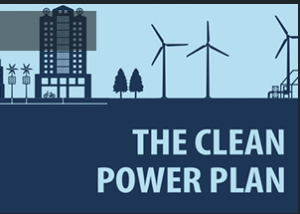 For example, the Clean Power Plan Fact Sheet on the EPA’s website refers to at least three benefits of the plan beyond greenhouse gas reduction and there is a colorful infographic emphasizing the multiple benefits. Social Justice Benefits. A third resource about the Clean Power Plan emphasizes the potential benefits of energy efficiency programs and renewable energy programs to improve the well-being of communities, particularly if those programs can be directed towards vulnerable or marginalized communities. Question #2 Does the plan build in mechanisms to make sure that multiple benefits are captured? It definitely gives this some thought, though details may well need to be worked out; encouragingly there are provisions that should allow for learning about the approaches that yield the most co-benefits. States need to demonstrate that they are engaging with communities, particularly vulnerable communities. The EPA will conduct ongoing air quality analyses near power plants. This provision seems particularly important in that it will collect evidence of the degree of air quality benefit and help us learn which approaches are most effective. The Clean Energy Incentive Program (CEIP) will reward investments in renewables and efficiency that implemented in low-income communities. Our research has convinced us that designing for the multiple benefits of climate action is a huge and still largely untapped opportunity. With this new climate plan from the Obama administration, US citizens and observers around the world have another experiment to look at to learn more about what works, both to build popular support for climate action and to get climate, justice, health, and economic results on the ground.